While the International Confederation of Midwives has recently updated the international definition of the midwife, less attention has been paid to defining the issue of work-related psychological distress in midwifery populations. Work-related psychological distress can be defined as a unique, discomforting, emotional state experienced by an individual in response to a specific work-related stressor or demand that results in harm, either temporary or permanent, to the person. But what do we really know about it? How does it affect midwifery care? Professional well-being? And personal welfare? There may be many myths about midwives, but here are ten things you might not know about the ones in work-related psychological distress. Midwives do not necessarily prioritise their own well-being. In fact, sometimes they can consider the well-being of others to be more important than their own. This can result in compassion fatigue, where a midwife loses his or her resolve to practise either self-care or compassionate care to colleagues, women and their babies. Bullying has been reported widely within the midwifery profession, and can cause psychological distress for midwives who experience it in the workplace. Yet fostering cultures of compassion and empathy in the workplace really can make a difference. Bullying behaviour sometimes occurs when people feel threatened, fearful and vulnerable themselves. Therefore, it is important to remember that midwives who display bullying behaviour in the workplace may also need support. Some experiences of work-related psychological distress in midwifery populations can be associated with organisational factors. For example, the maternity workplace can be hierarchical, with small ‘cliques’ of midwives excluding others. Some midwives can also find it difficult to work between the medical model of care and the midwifery model of care. As such, midwives can experience psychological distress as a result of persistent professional conflict. Post-traumatic stress disorder (PTSD) can develop in midwives following either a real or perceived traumatic event or ‘stressor’. Over a sustained period, symptoms can include the display of reckless or self-destructive behaviour, memory flashbacks, hypervigilance, emotional numbness and avoidance. However,acute stress disorder can also occur following an indirect, or direct traumatic event, accompanied by symptoms of shame, guilt, anger, and self-doubt. Significantly, PTSD is often experienced alongside depression, substance abuse disorders, and other anxiety disorders, which may result in a symptomatic display of unethical behaviours. As midwives care for mothers and babies during highly emotional life events and during emergency situations, there is a need to recognise the occupational sources of work-related psychological distress in midwifery populations. In the US, midwives most frequently cited neonatal death, shoulder dystocia, and infant resuscitation as being the incidents in which their own work-related psychological stress had originated. Equally, the psychological distress experienced by midwives caring for families experiencing stillbirth, neonatal loss and miscarriages can be relatively high, as midwives provide emotionally intense and deeply empathetic care. The workplace culture that student midwives observe is sometimes described as ‘spiteful and cruel’, where midwives are seen to behave ‘coldly’ like ‘robots’ who are ‘emotionally shut down’. These student midwives may actually be witnessing the behavioural symptoms of work-related psychological distress. Yet a recent mixed-methods systematic review found that there is currently a paucity of evidence based interventions designed to support midwives in work-related psychological distress currently available. Midwives working within resource-poor countries experience traumatic incidents and death more frequently. Therefore, these midwives can also experience higher rates of death anxiety, death depression, and death obsession where midwives working within developed countries may not. The midwifery profession faces social, professional and economic barriers globally that are interlinked and interdependent. As these issues overburden midwifery staff, their experience of distress can accumulate, and result in occupational burnout. This type of burnout can be defined as a state of prolonged physical and psychological exhaustion which is perceived as related to the person’s work. Yet some would argue that the term ‘burnout victim’ shames the healthcare professional…What are your thoughts on this? Midwives join the profession because they want to achieve great things. They do not come to work to do a bad job. Yet many midwives feel unable to give the optimal care they wish to provide. We know that the well-being of healthcare staff can be linked to the quality and safety of care. In fact, when the well-being of staff is supported in the workplace, standardised mortality, infection and medical error rates fall. 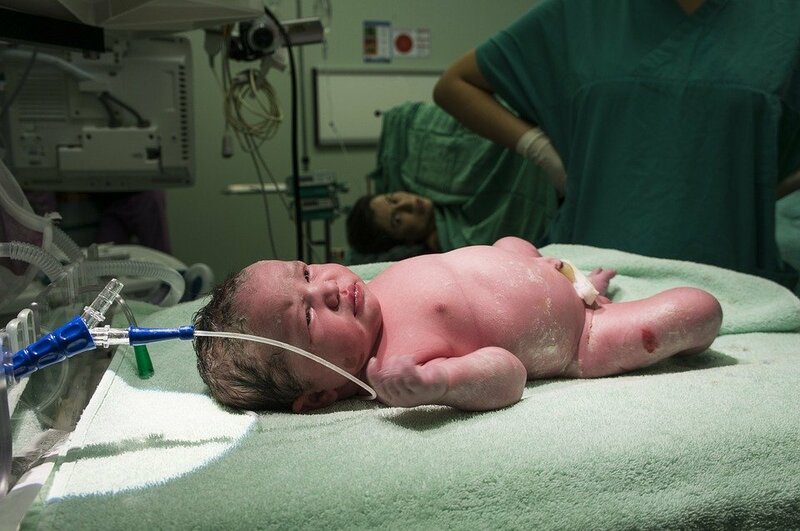 Therefore it behoves all of society to care about the well-being of midwives. While the term ‘resilience’ may wrongly put the onus on midwives to ‘toughen up’ in the face of workplace adversity, there are many ways that we can improve the working lives of midwives. Work-related psychological distress in midwifery populations is a complex phenomenon and a ‘wicked’ problem. Yet building and testing new and evidence-based interventions designed to support midwives in work-related psychological distress may offer midwives the opportunity to thrive rather than just survive in the workplace. While turning this vision into practice, we may also be able to secure further excellence in maternity care. Sally Pezaro is a midwife, researcher and lecturer. Sally has developed a passion for supporting the psychological well-being of healthcare professionals over the years. Throughout her work in midwifery and supporting the midwifery workforce, Sally has aimed to secure the case for developing an online intervention designed to support midwives in work-related psychological distress. The overriding vision for Sally’s ongoing work is to secure a psychologically safe professional journey for midwives, and excellence in maternity care. Sally also inspires other midwives to become involved in research as The Academic Midwife online.